Today's Unsung Symphonies riddle: What looks like a piano concerto, smells like a piano concerto, and sounds like a piano concerto, but isn't a piano concerto? The answer: Ferrucio Busoni's Concerto for Piano and Orchestra with Men's Choir, op. 39 (1904) by Ferrucio Busoni (1866-1924). Don't let the name fool you. It's really a symphony and an opera rolled into one. One more thing: Busoni's concerto also has cool artwork (the print on the score is by Heinrich Vogeler). But the links to opera run much deeper. 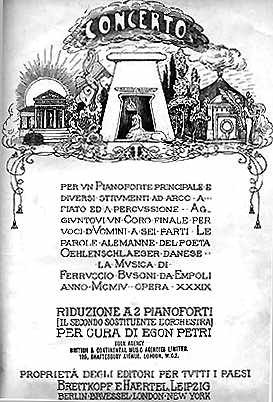 The musicologist Antony Beaumont wrote that the concerto's "inherent theatricality and its monumental proportions indicate that this is a veritable Bühenweihfestspiel [stage-dedication festival-play] of a concerto," and he pointed to its original seven-movement plan, in which the original third movement was a "Recitativo stromentale".2 In light of this potential link to Wagner's Parsifal, it's not surprising that Busoni called Wagner "a contemptible, little Saxon, with boring music and some strokes of genius,"3 because it tells us he was thinking a lot about Uncle Richard. Wagner in particular (as you might have noticed in the harmonies above), and operatic gestures in general, infuse this piano concerto. In the fifth movement, the piano recedes. It's is just another instrument in the orchestra, the scenery for a cosmic opening. Before the chorus enters with the stunning "Hymn to Allah," the rising string figures herald the text's advice to "Lift up your hearts to the power eternal." No matter how much I enjoyed Busoni's piano concerto, one thing is for sure: when it comes to musical treatments of Aladdin, Peabo and Regina have already said it all. 1. 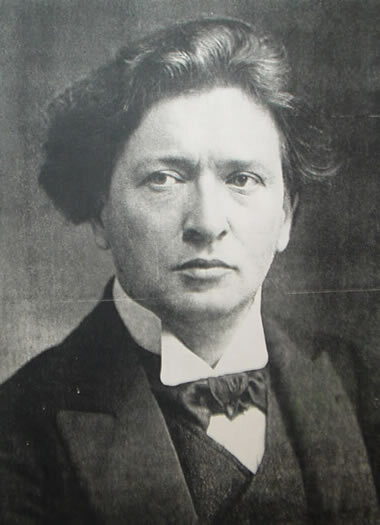 From a letter to Egon Petri, quoted in Antony Beaumont, "Preface," in Ferrucio Busoni, Concerto für Klavier und Orchester mit Männerchor, op. 39 (Wiesbaden: Breitkopf & Härtel, 1994) 166. 3. Ferrucio Busoni, Selected Letters, trans. and ed. Antony Beaumont (New York: Columbia University press, 1987) 166. 4. Beaumont, Busoni the Composer (Bloomington: Indiana University Press, 1985) 74.